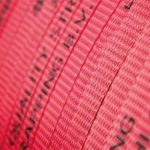 Our strapping is highly effective in boosting the visibility and recognisability of your company and information. You can print logos, text and codes such as EC approval numbers, product codes and any other data to suit your requirements. This can save a great deal of money on post-labelling labour costs. The prints can be applied every 5-20cm. 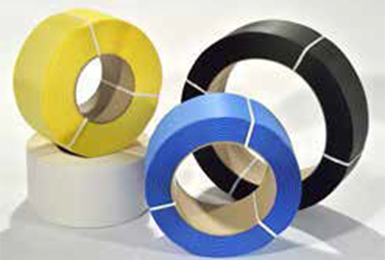 Printed polypropylene strapping is only available for widths of 8mm or above. Thanks to a special gravure-printing method, the strapping is printed during the manufacturing process. 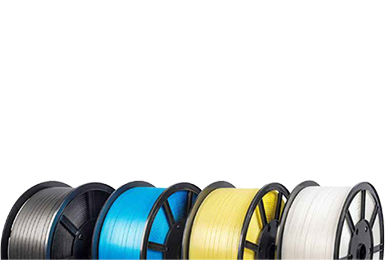 The strapping is still hot and smooth upon exiting the extruder, at which point a steel gravure roller applies the appropriate print-work almost immediately. 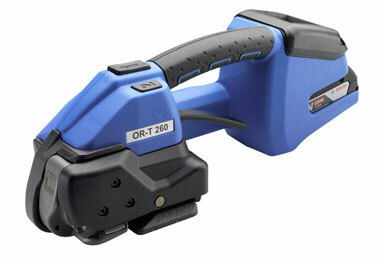 This provides exceptional colour depth. 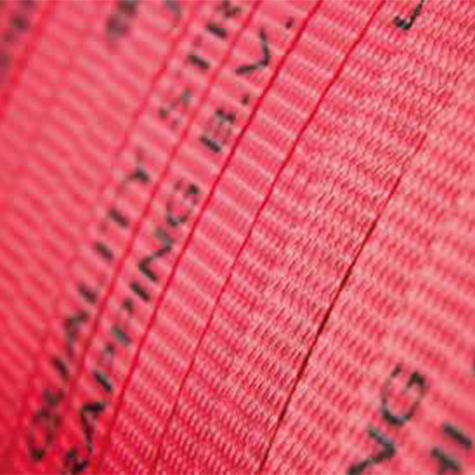 Subsequently, the strapping is then embossed to ensure the quality and fine details remain untarnished.